Welcome to an in depth look into the various techniques of advanced blog commenting. Before we get started, its worth me clarifying that when properly applied, blog commenting is not a spammy technique, and yes it is still great for ranking in the SERPs. Before we get into things, I’ll quickly make you aware that there is no individual best technique method when it comes to blog comments and the reason for this is simply because if I was to say a sole master tip then every SEO agency will rinse and repeat this excessively meaning the outbound back links on this would sky rocket and therefore each of these would become less quality in value. Below is going to be several different SEO Blog Commenting techniques for you to test out and remember it is trying to find the niche relevance articles, with high PA metrics and low out bound backlinks. Google are trying their best to combat link farms, manipulative link profiles and many SEO gurus in the past all spammed their websites with blog comments which got this type of link building strategy a bad name. One of the best factors of blog commenting is the ability to drive traffic to your site from it. Although it is very important you carry it out correctly. Simply leaving a comment saying ‘Great Article’ is not going to convince another reader of that particular article to want to click through to your site. This could be potentially a valuable customer to you because presumably it will be on a topic related property. Think outside the box, what you would do if you saw an amazing comment that added more value to the information and was insightful? Go above and beyond adding extra content so that those potential customers are convinced they need to check out who you are, what you do and how you do it. Brian Dean here on this link explains some awesome tactics on how to generate traffic to your own properties and I definitely recommend watching the video because it gives great insights into using Feedly as a content management system, alltop to search for topic relevance content and followerwonk to find influencers on twitter who more than likely will be connected to blogging platforms. The hidden link method is an incredibly interesting topic of discussion, and one that will certainly divide opinions. This sneaky tactic involves inserting your link as a line of code that will be visible to Google. However it will be completely hidden from the human eye (that is, unless you view the page source). This sly technique can be an absolute life saver when it comes to high PR blog commenting. Many blogs/sites will have strict policies about not including links in the comments. They’ll state something along the lines of “Any use of outbound link on an article comment will lead to termination of your comment post”. The great thing with this technique is that unless the owner of the blog checks the page source of that particular page for links (which is highly unlikely) they have absolutely no idea that you’ve entered a link with your comment. This is a technique that people aren’t familiar with, or just don’t think about applying for their blog commenting campaigns. It doesn’t always work for every blogging platform or website. However there’s absolutely no harm in trying it, and if it does work, happy days! You can add various combinations to this search type to completely customise and personalise the results to your liking. If you have any other great google search phrases then please leave a comment at the end of this article. Once I have tested this out then if good information I will add it into here. 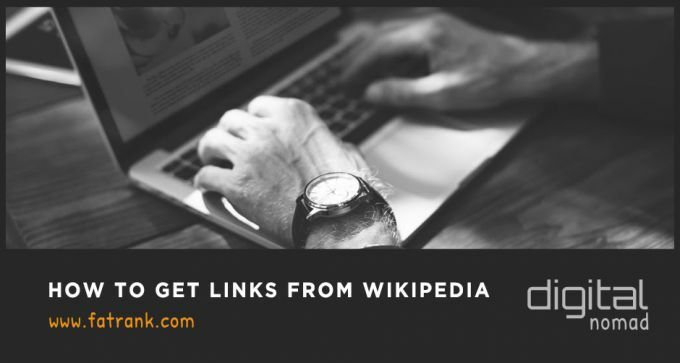 When doing your search string then a few top tips is to go onto search tools > any time > past month so it brings up the latest web pages because it is always best to try and comment first on articles to get more juice as your link is placed higher up the page. Also when doing this it is advised to go into the settings cog and click onto search settings > never show instant results and then move the amount to 50 which will then in google create your google search to show 50 results in the SERPs and this saves you time clicking through the pages. Here is a great article which explains the best techniques on utilising commentluv for blog commenting and in this link it shows you how to generate a list of web pages into excel and monitor the comments you have submitted. If you follow the 5 steps on commentluv blog commenting then this is personally my top method. You get both a nofollow link back to your home page and then a dofollow high pr backlink to the latest blog post. Using Google Alerts is essential to keeping on top of your competition and latest news. Setting up your main keywords as google alerts to send you an email everyday is awesome. This is because it keeps you on top of all the latest news. When receiving the news articles this is perfect bait for you to start leaving comments. It will be niche relevant URLs for you to start engaging with. Prospecting through google alerts for blog comments is one of the best methods. It is great as gentle reminders each day on the email to add some comments to build up your authority. If you are unfamiliar with google alerts then you really need to read this article from searchenginejournal which explains the benefits of using it for various seo link building techniques and the guidance on there for set up and implementing strategies is great. While SEO should never be the ultimate goal of an active commenting community, it is a nice side effect. Disqus has demonstrated that people spend more time on pages where Disqus is installed according to this link. This translates into more page views and more comments. This keep pages fresh and give search engines more data to crawl. Disqus has worked closely with search engines, including Google, to ensure it is crawlable. Although ultimately, indexing is out of Disqus’ hands. Saying that, there is always the option to sync comments locally to show in the HTML of the page. So to answer your questions on Disqus then Google can index the comments. This either requires special server side setup or relying on Google only which can index dynamically loaded content. The surest way of indexing Disqus is rendering comments server side (e.g. using the Disqus / WordPress integration). This requires more complex backend configuration and will need paid API quota for high volume sites. It does however work with all search engines. It’s unclear which other search engines, if any, also index dynamic content in the same way. This may not always be reliable with Google and probably doesn’t work at all with any other search engines according to many Q&A forums. So to start things off, I felt it would be important to briefly explain the role of Akismet. We’ll also discuss the problems it can cause for those trying to kick start their blog comments on WordPress blogs. So for those who are unfamiliar with Akisment, its basically a very popular, free WordPress plug in. It protects its blogs from receiving spam comments. At this point you might be thinking “Well that’s fine, i’ll simply not add links in the comments I post”. But unfortunately its not as simple as that. Akismet has a knack of being so protective over its blogs, that it will barely allow any comment in. And seeing as thousands upon thousands of WordPress blogging platforms have this plugin installed. This makes blog commenting a very challenging practice on WP hosted sites. Ana Hoffman summed the Akisment situation up brilliantly in her post fittingly titled Die Akismet Die, where she explains the problem with the plug-in in further detail as well as presenting a few examples. Despite the annoyance that Akismet causes for us SEOs, it might surprise you to hear that these annoyances may actually be a bit of a blessing in disguise. Think about it, if the majority of WordPress websites have Akismet installed, then the majority of SEOs will stay well away from WordPress blog commenting in SEO 2018. If you look around carefully you should be able to find some WordPress sites without the Akismet plug-in. Barely anyone will be utilising these comments sections for SEO, allowing you to get one step ahead of the game. You can pick up some blog comments without the dilution of other peoples links. Is this the best way of obtaining high PR blog comments? Of course not. This process will likely take a lot long longer than finding a blog comment anywhere else. You’ll spend a lot of time posting comments that Akismet will later remove. However there could be some real hidden gems by giving this a go. You can check whether a website is running the Akismet plugin simply by clicking ‘view source code’ of the page. If it shows in the header then they are using it and if you can’t find it then they don’t. Although the blog commenting is crucial through 2018 then you really need to understand the algorithm. See the reasoning why with regards to link type diversity, anchor text diversity and IP diversity. Comment Monster sources the highest quality PA and PR webpages that are niche relevant. You can leave comments on the articles which not only get approved by the authors but actually add value to the information shared. They will not be the cheapest gig online as you can purchase 20,000 blog comments by bots on fiverr. However they certainly will be the best value on the internet. Don’t catch yourself in buying spammy backlinks but buy from reputable companies that offer the best services. Above is many various ways and strategies how you can complete doing this in 2018. Stay one step ahead of your competitors and get your brand in front of as many potential clients as possible. Remember it is not just for the link juice or backlink you are solely doing this. But when done manually you can implement it to gain company exposure and hits to your website. I want to finish off by making sure that when searching for the webpages you have the mozbar switched on. Do this so you can check the PR, page authority and domain authority of the URLs. Just so you can start on the webpages with the better metrics and finally the OBL (out bound links) of the URL is very important. If you find a great webpage but it has over 100 outbound backlinks then the likelihood is it has been spammed. You do not want to start receiving links from places with bad neighbourhood metrics. This will have negative effects on your rankings. Time is most marketing and SEO agencies biggest headache. For this reason blog commenting goes to the bottom of the pile of things to complete. For this reason the done for you service by comment monster is certainly a great option for you and as this offers true value for money we believe for many this could be the most viable option. I would love for you to leave comments on this with any extra added value content you can think of. I can add this to the advanced guide and also your feedback on it would be great. Be kind because I understand the design of the article is not great with being broken up with fancy images. But I just wanted to deliver all the content and guides instead of it looking pretty. Have a great 2018 and hopefully through networking get to see many of you at events or meet ups this year. Great tips. I’ll have to give some of these a try. The hidden link is genius! regular check your blog and found always great and useful post for SEO. I’ve noticed personally that almost all the top SEO companies in my city use blog commenting as a regular part of their SEO strategy. If some people consider it spammy it clearly works for them either way…. I love this article. This is very useful and important to know by any seo person. This is great article about SEO. I am totally overwhelmed with the blog commenting tricks. Thanks . I think you should continue to build your content on your social platforms and web 2.0’s such as wix, tumlbr, and weebly to name a few, and familiarize yourself with wordpress hosted websites. If you can grow a good enough following that means your content alone is great, and implementing your own site with wordpress hosting would give everything superpowers for SEO. Owning your own website offers much more flexibility as well. Takes time to learn, but if the passion is writing about food, I’d stay there- learn and implement as things progress. Appreciated your efforts on writting article about blog commenting and SEO Strategy. You really explained very well and very details. This information helps lots of people who are newbie in this field. Thank you for sharing such a useful information. Thanks for this helpful blog commenting Guide.. It is a very interesting article. I learned new things. But you didn’t say anything about dofollow blog commenting. How do you find those blogs, which accept dofollow backlinks? Do you have some specific search strings? Thank you! i also got my blog traffic increased by answering each question asked by my readers in comments section. if you have not highlighted that query in the article body. So its also important to answer each and every query properly for boosting website traffic through comments. Nice Guide! very informative.. I’ve heard about this Google Alerts before but i’ m not that sure how this thing work’s but now i know how because of this post thanks for sharing! Great post! Hey, it can be hard to tell how valuable blog comments are, but your article has been very helpful. Ι’ll be bookmarking it and сhecking back frequently! You have shared really best information about of Blog Commenting. I really inspire, your sharing and I must try these tips that you mentioned in your blog. Best blog for digital marketing agency specializing in effective, organic Search Engine Optimization (SEO). Thanks for sharing..
Nice post.. seo agency I had been checking out continuously this kind of site using this program . influenced! Really useful information specifically the supreme part 🙂 I manage these kinds of details considerably. I used to be trying to get that info for the period of time. Appreciate it as well as good luck. Hеy There. I discovered your blog the use of msn. That is a very neatlу written artіcle. for the post. I will certainly comebaсk as love backlink tutorials. Great article. thank you so much for sharing your idea. I hope this article is very helpful for Blog Commenting. Tremendоus things herе. I am very happy to see your ɑrticle. But what are the advantages and disadvantages of making this kind of decision on your own site. telephone numbers, address, and anything prospects want to know. Finally, a well-designed website is an efficient marketing device for your business. But i will start to do blog comments also as my seo campaign. Great Content. Really very useful guide for beginners. Thank you for providing such an awesome article with us comments to blogs. Great article, and really helpful. I’m going to place your techniques to use, as you can see…Thank you for sharing! Thanks for the comment, Raj. Glad you liked the post! I’m glad that I came across this amazing article. This post teaches us a lot about blog commenting that will help me a lot. Thanks for sharing such a informative post. Thanks for the comment, glad you liked the post! I will get my developer to check this and thanks for commenting with this issue. Hi James, thank you a lot for your article. Could you please deliberate on the CommentLuv Method as the embedded tutorial video is still a bit confusing to me? What is it within commentluv you are struggling on? The method works well still from the video but is there anything particular in commentluv you are looking for? The comments are generally just placed to look natural and try to get you referral traffic. Blog commenting, though has become very spammy throughout the years, is still relevant as you have discussed in this article of yours and it is great that you updated this ever since. I’d like to point out that Disqus no longer give links when commenting on Disqus enabled blogs. Instead if you click a person’s name, you will be redirected to their Disqus profile however you could still do a little link building though the Disqus website itself or through naked links (which looks very ugly btw). For Akismet, the number 1 enemy of link builders around the world, I’ve read a lot of case study on how effective Akismet is or how Akismet filters your comments. All I know is that they have more than a hundred factors to know if you are spamming or not. From my experience, some of the things are comment length, time you spent on the web page before commenting, your IP address (they could detect if you are using VPN), your link, your name, etc. Yes they are all very good points made. Do you find blog comments to help you a lot in driving targeted traffic to your sites? Blog commenting is an important part in SEO. Today i found an amazing article related to this that i needed. You made everything is very clear. Really appreciated work. Thank you for sharing this amazing information. Keep it up. God bless you. such a great information you have shared on Blog commenting through this article, it is really helpful techniques for all those who are new in SEO field, Thanks for this great article. A comment should make sense. It should not be promotional but it should add some meaning to the article on which you comment. It about building a relationship by discussing the topic, with people in you firld. It should be meaningful and not spammy. Yes you are 100% correct otherwise the comments will not get approved. You have shared the all major techniques of blog commenting and disclosed some real resources too. It’s been a great pleasure to read a post that really worth applause. Yes, blog commenting has still the great value if it done on the right way. Always go for the niche site and have to post comments that actually provides value to the admin. BTW, thank for sharing and keep up the great work. I’m still in the beginners stage of creating a blog and this has helped me to choose my niche. I have been interested in starting my own blog for months now and never thought something as simple as choosing a niche would be so challenging. I have came to the realization that there are so many different topics I am passionate about and want to blog about. Though I know its best to choose only one niche, it’s also so hard to choose from. With your post this has helped me to narrow it down to my top 3 and after a bit more research on each I shall be ready to post my 1st blog! I’m super excited, I can’t wait to begin. Actually i have a aim to earn handsome income via blogging that’s why i am searching some informative sites only for this purpose just like yours and this one also PromoMedia. Few days before my colleague recommend me this site its a UK base register site which is providing everything on a single platform, I am searching about this site its a true and i am thinking to use it but i am little confused to use its a new site . If you have any idea or experience about this site please share with me this will help a lot thank you so much. Great news you are starting a new blog and best of luck with this. The hardest part is getting started so crack that part and you will do well. Blog commenting is indeed very important when we are talking about the off page seo link building but before you post any link you must know about common seo mistakes to avoid while doing seo and on this topic Cloudways has written a great blog. Awesome tips and step by step explanation on the blog commenting. Really appreciate the way you have written and explained. Especially the Drive Targeted Traffic with Blog Comments Section. Yes for me the driving of traffic through these links is the most important aspect. Add value to the article and hopefully people will follow onto your website through the blog comment link. excellent article, covers many aspects on the subject helping towards a better understanding, and the best contributions found on SEO. Yes Matt I Completely agree. If you add and offer value to the blog with the comments then it makes sense to use this for traffic referral. It is just a shame the bots and automation tools have spammed this so much google has had to take some actions on it. This is a very unique article. Such a good knowledgable post. Thanks for sharing. Many thanks for the nice write-up. I really enjoyed reading this. I have got some invaluable ideas regarding the advance ways of blog commenting. Good read. This guide helped me to avoid some of the common blogging mistakes. Thanks for an interesting article. I’m glad I found this blog because I’ve always wanted to know more about blog commenting. Your videos are very informative too. It’s really nice article. Especially when you talk about Disqus and the hidden links method. As you said, these methods are real lifesaver. Keep up the good work! 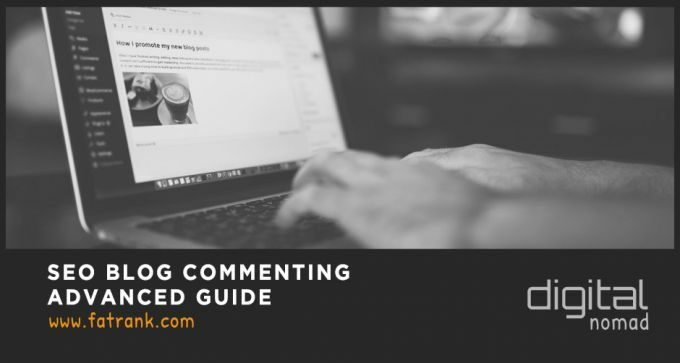 Really good information provided but there is something I want to add regarding blog commenting, actually I have heard that the content of comments help you rank on Google really fast which is actually great if you just do it the right way. Hi James….This is absolutely a promising article on SEO.Greatly helpful techniques and well explained.Thanks for sharing on this in the blog.I understood more and now I got a clear picture. I had no idea blog commenting if done properly could be such a powerful SEO tool. I’ve really been missing out not using this strategy. Thanks for the in-depth guide, this is really gonna help me a lot. I like this post. I studied lots of SEO. Thanks for your sharing! Such a helpful article about SEO. I am totally satisfied with the blog commenting tricks. Thanks so much. I really enjoyed reading this article. Awesome tips and step by step explanation on blog commenting. Really appreciate the way you have written. Thanks for sharing this article. Now I learned something new today and this learning is very helpful and relevant on my part. Thanks for sharing this. I have been searching for the video tutorial, but this, oh my friend, THIS! This is the best article i read in the last 10 years! Great work, your article is very helpful and useful for SEO person. I got very nice knowledge from your article. A resourceful article that helps to clear my queries related to blog commenting and SEO strategies. All the tips and methods you suggested are so promising, I am gonna try it and sure will recommend it to others. Epic. We’re going to for sure try the hidden link action! All the blog commenting techniques you have mentioned in the post are great, and I almost familiar with all of these strategies. But, believe me, this is the first time I read about the hidden link method, and I’m so happy that I found your blog. I want to ask If someone creates a hidden link for his/her website would it be loved by Google or Not? Please share your experience with us if you have ever involved in hidden link building method? Also, I must say that your work is great and those people who are searching for how to do blog commenting for SEO should read these kinds of articles. Many bloggers miss out on the opportunity of driving traffic and establishing their brand in their space by leaving top quality comments. Leaving great comments, which get read by your potential audience only aids in your marketing efforts and getting your name out there. Sadly, or thankfully, which ever way you wish to see it , it seems to be a rather forgotten and authentic traffic driving opportunity!. Exactly like you have done here then this gives you an opportunity for my followers to click through to your brand and opens up my audience to yourself. So yes 100% adding value in comments can drive great exposure.